(Stock Electric Propeller Vehicle Showcase): Bringing power to the people! Welcome to my stock electric plane repository! It serves as a home for my own electric craft which work perfectly 75% of the time, and also somewhere to share your own electric planes and other creations. Have fun! 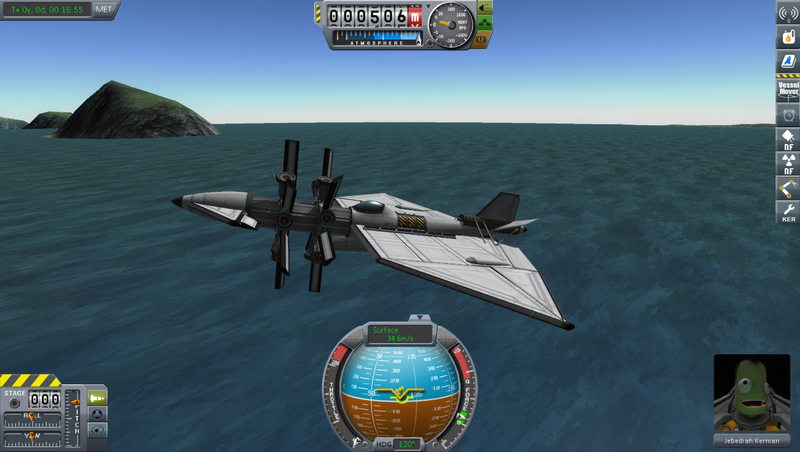 This is the highly creatively named "SAS flyer 1". 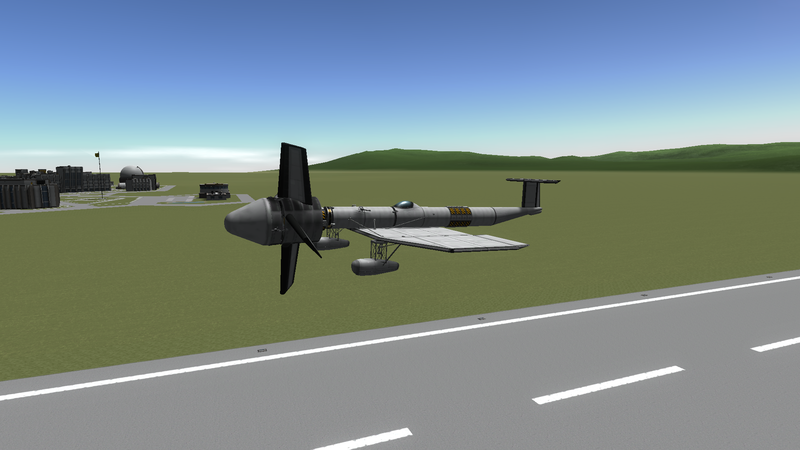 It features decent reliability, a high-power engine, and a low takeoff speed. 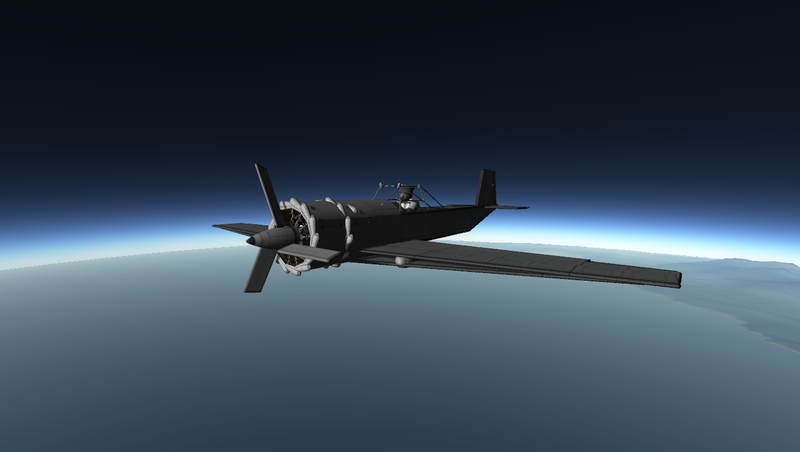 It has a maximal speed of 75 m/s ASL, and a maximal safe speed of around 90 m/s. Not particularly exciting, but highly versatile. 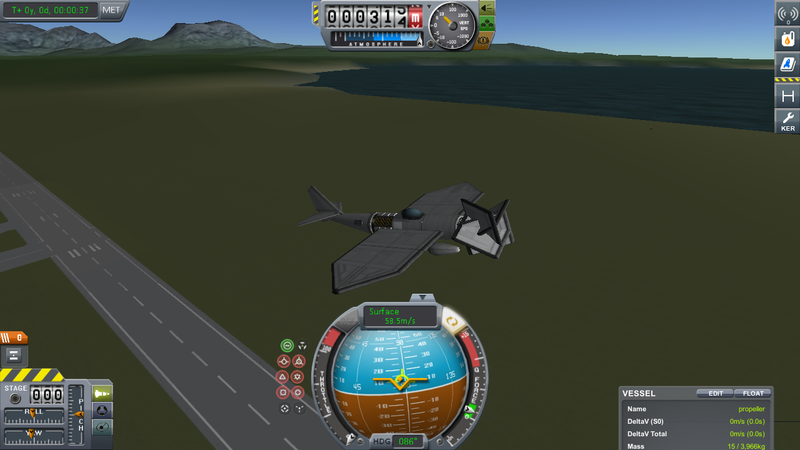 And this is the "SAS flyer 2". It features a canard design and is powered by a relatively less powerful motor. However, it is easier to fly, as long as it is managed properly. Fly with SAS on (for only the plane itself). Infinite range guaranteed. Your money back if it runs out of power in mid air! 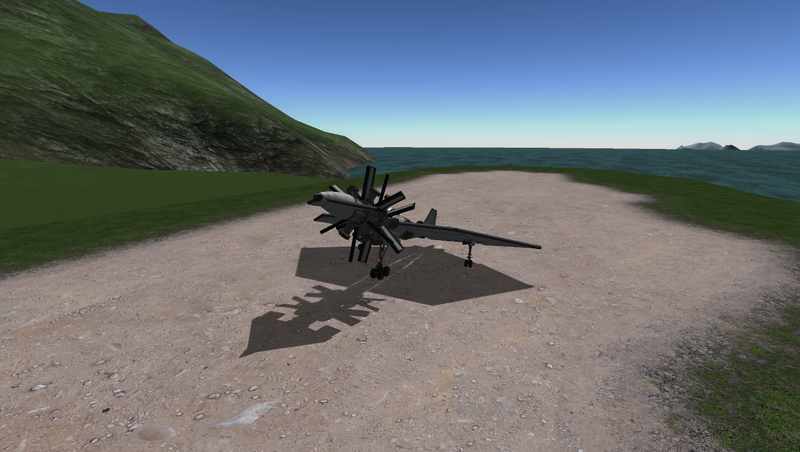 And now for the extremely creatively named MK3 propeller plane. With a large passenger capacity and extended cruise capability, the MK3 is well-regarded due to its silence. This silence also allows it to conduct top secret raids on [REDACTED] during the [REDACTED] war. 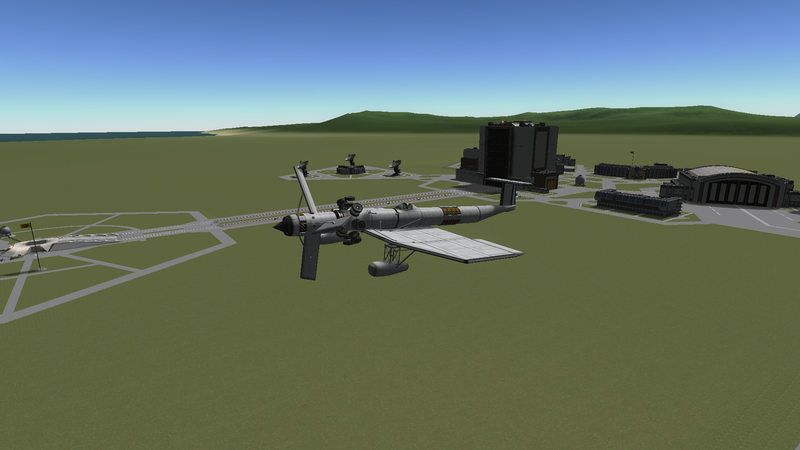 And this here is the MK5, aka the "Reliant". "Where's the MK4?" I hear you ask. Well, that's... another story. 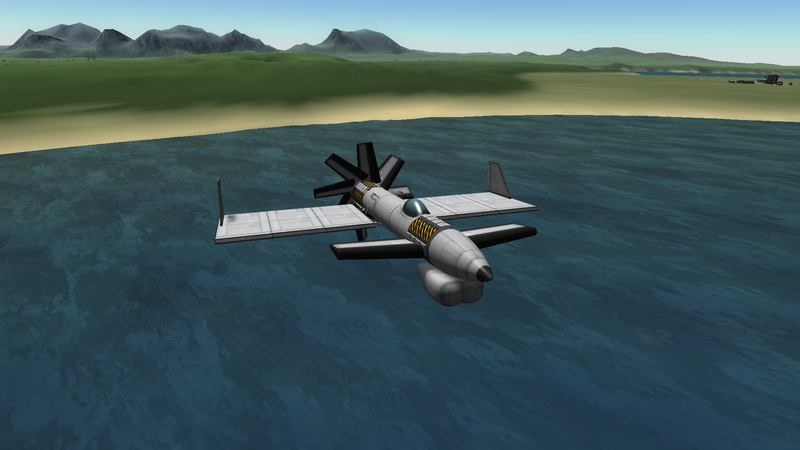 Anyways, the MK5 is better in almost every way relative to the MK1, and is much, much, less likely to crash for no reason. And as a general rule of thumb, turning SAS on kills the engine, but turning time warp on kills the engine for good. Give it time man, I know there are many others who make craft like this so be patient. If you build it, they will come. How do you make propellers that, well, work? The only stock propeller tutorials are from versions long ago and they only last 5 seconds before the hinges rip themselves to shreds. 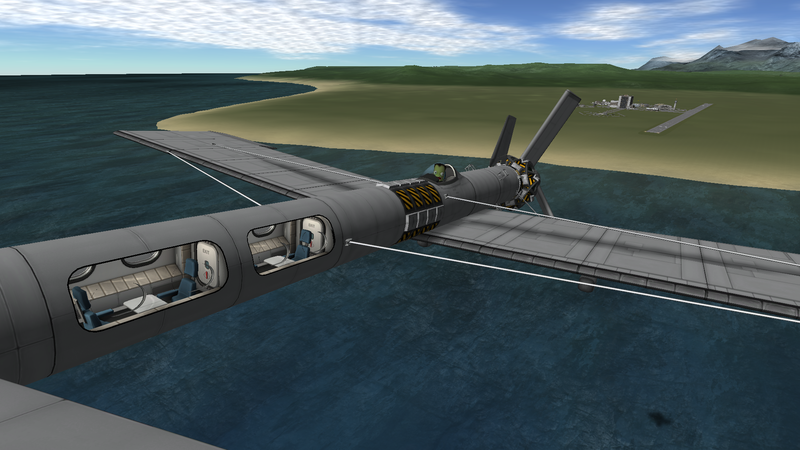 In my designs, multiple Stayputniks are held in a structural fuselage, which allow them to rotate. I have only been playing for a couple months, so I haven't reached this level of design yet. I downloaded the SAS 2. Took it apart.. Took it out for a flight. I'm convinced. I would really love to see a step by step on how you build something like this. I know that there are a lot of parts over top of each other. How do you get them all to stick together? 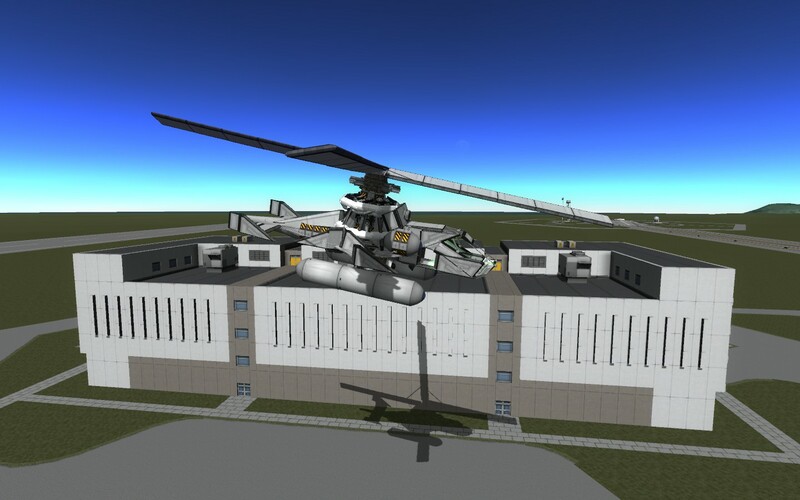 I a very long time ago built an electric powered helicopter. Very ancient and from the stone age. 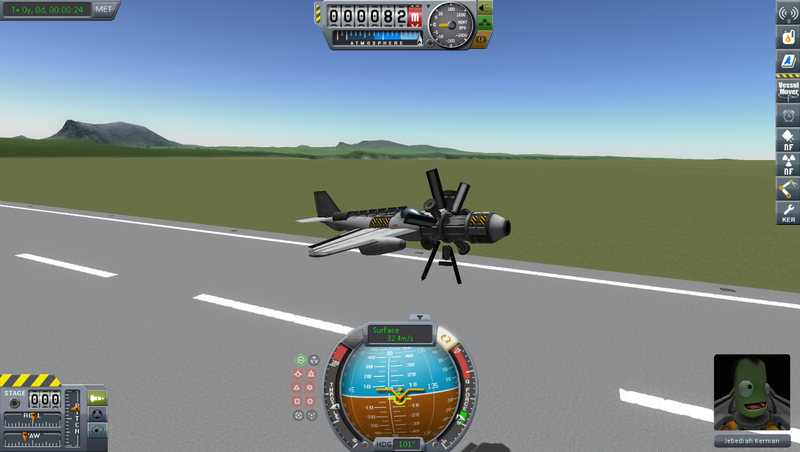 Doesn't work in KSP anymore. But hey it was sure electric if you get what I mean? Electrified the Chakora v3 ... I'm not impressed with electric flying, that's for sure. Top speed 140. I'm not impressed with electric flying, that's for sure. And you've said that before. If you don't like electric prop craft mate, don't post anything about them. Some people like them, accept it. Do your own thing. And only post here if you have something positive and helpful to say. No need to poop on anyone's parade here. That's truly awesome Mrmcp1! Really nice work, keep it up! Keep experimenting, keep refining! I like it! My current bearings are too long for that. Time to... Miniaturize! Really cool! But gosh that's some huuge engines! 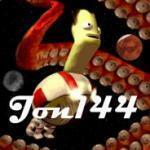 140? And i thought 60 was fast! Despite the fact that it's big, that's pretty good. 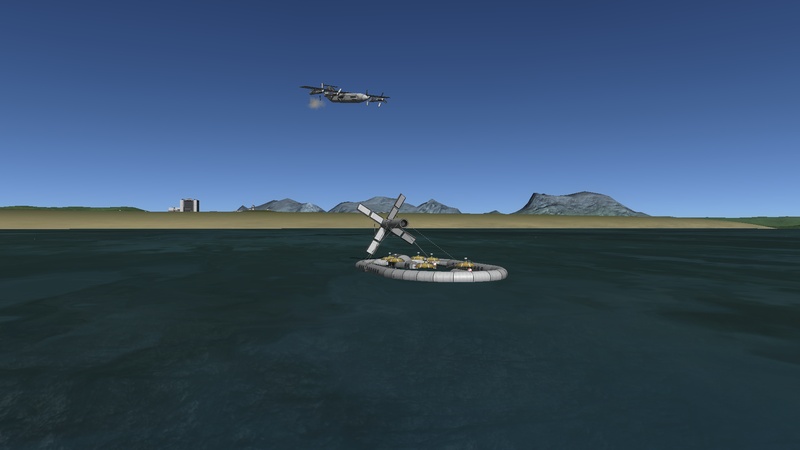 Hello guys i like your craft but you need to make them operate to different planets !! duna laythe eve even jool ! I've gotten around 80 with my most advanced stayputnik bearing variant (Classified), and around 110 with a special wheeled bearing that uses a glitch to operate. A glitch to operate? Blocked wheels? It's a weird hitbox thing with the science jr doors which has no friction to it and which seems to apply phantom forces to the shaft. However, the Science Junior has a tendency to self destruct. UPDATE: Operation at 3000 rpm (50 RPS) for extended periods of time is now possible with the hyperboosted stayputnik engine. Now, time to make that number 60.